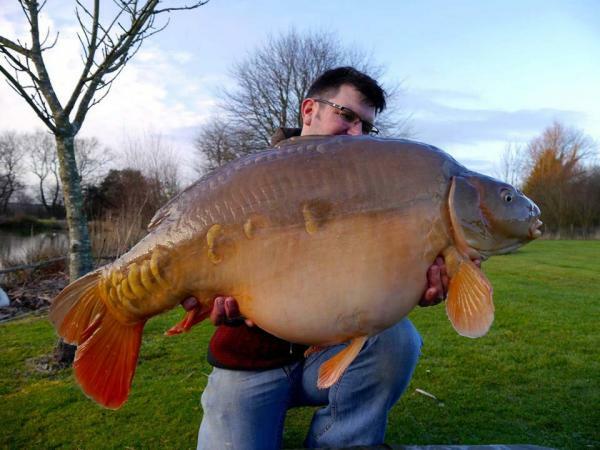 What a start to 2015, January & February has seen exceptional fishing better than some summer months, the big carp just keep coming, we ended February with Tony ( owner Manager) landing three carp in two half hours on a Sunday afternoon the best being Charlotte our 41lb 2oz giant only minutes' after putting his line in the water then Sovereign came in at 29lb 4oz using Furzebray boilies, and he has made it to the cover page of Carp Talk. Dave Brewer had two thirty pound fish Star at just over and a new thirty at 30lb 12oz that makes 13 recorded thirty's in Island Lake. 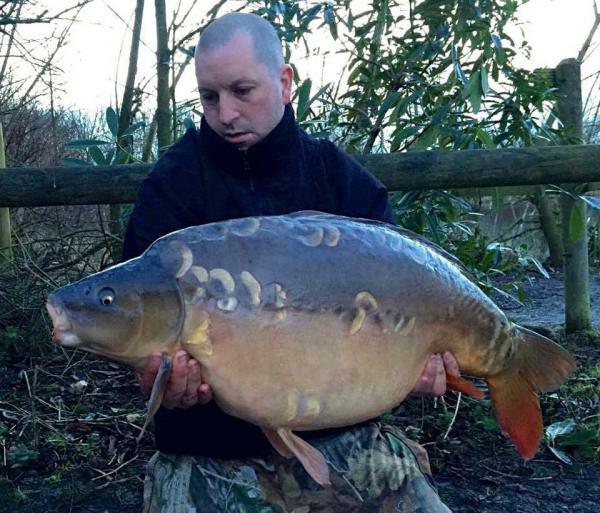 Dan Weaver on holiday in Oak View had 5 fish & one landed by his dad from Jezzers, one of the fish was the 23lb 10oz Leather. .
Martin Cox had a successful few days fishing the Lawns the best being the Random Linear at 28lb 4oz. That week turned out 11cracking fish. .
Chris Connington landed Black Spot at 32lb 12oz & Tin Braun had Clover at 33lb 4oz. . The string of good carp out since the new year are to many to mention so visit our Facebook page to view more catch reports.